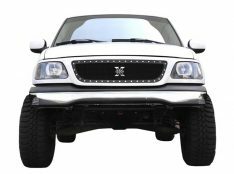 Grilles are one of the first modifications people make for a reason because adding one to your truck is a great way to customize it and makes your truck stand out even more. Plus, they are very easy to install, look great, and come in a variety of options and styles! 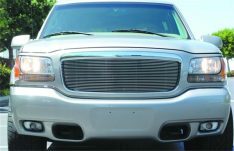 Aftermarket Grilles fit into any application whether you are cruising downtown or back country. 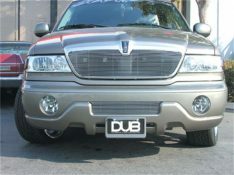 Classic grille style based on aircraft-quality billet aluminium. 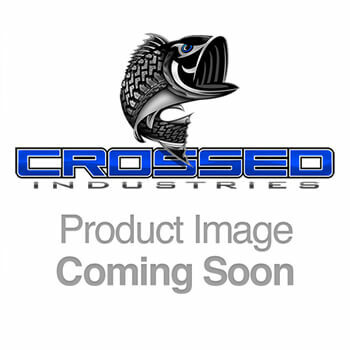 TIG-welded and hand-assembled to ensure superior quality. 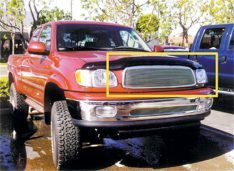 "Bolt-On" application that is relatively easy to install and may require minor drilling. 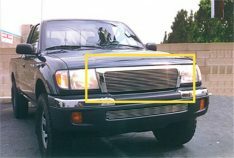 The grille fits like a factory one, looks aggressive and comes with the removable X-Metal badge. 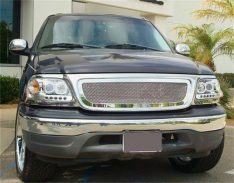 This Grille comes in glossy Black Stainless Steel powder-coat finish. 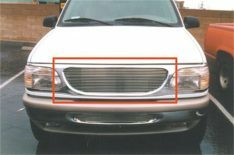 "Grille-Insert" application that requires cutting and drilling. 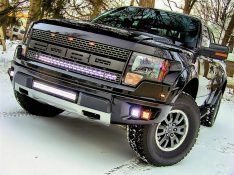 Improve the look of the front end of your vehicle with a T-Rex Upper Class Mesh Grille. Great pricing and easily installed. Make your grill look like new again. Direct replacements for factory units. Adds style to your vehicle. 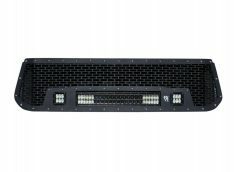 Grille-Insert application that requires cutting and drilling.